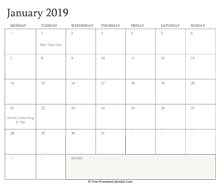 January 2019 Calendar (Vertical Layout) - A portrait calendar for january which included weeknumber, full moon, new moon date and two mini calendars at header. 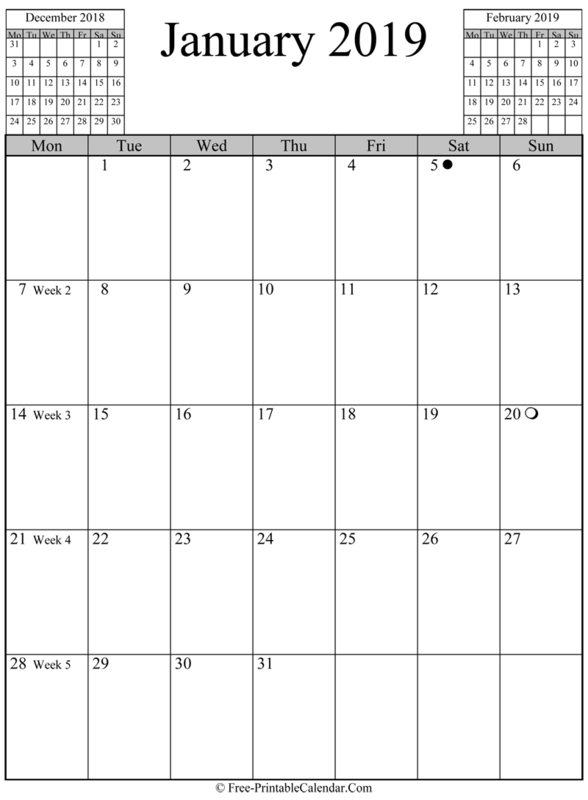 You can download this vertical calendar in Word, PDF or PNG format. This calendar is free for personal use only and if you think it is useful please link to us. 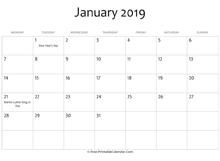 Just copy & paste the following code to your site or blog to share January 2019 Calendar (Vertical Layout).